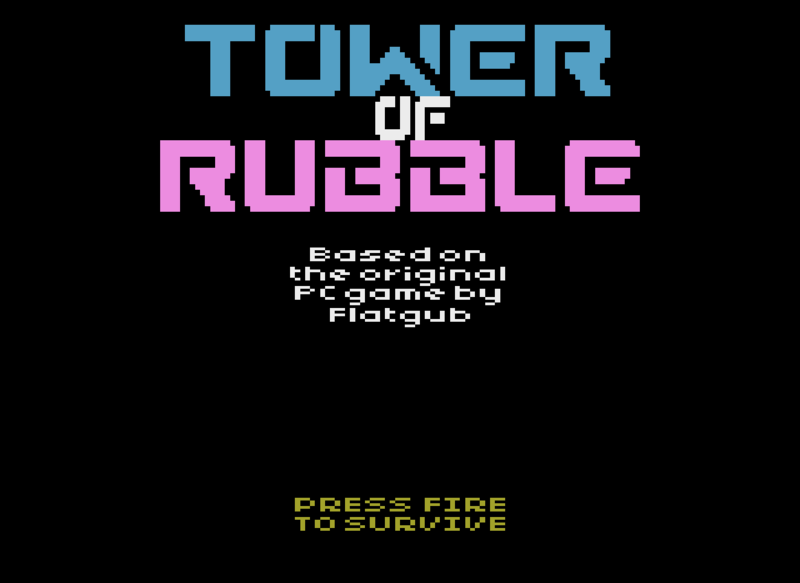 How long can you survive on the lethal TOWER OF RUBBLE as it crumbles and rebuilds itself around you? 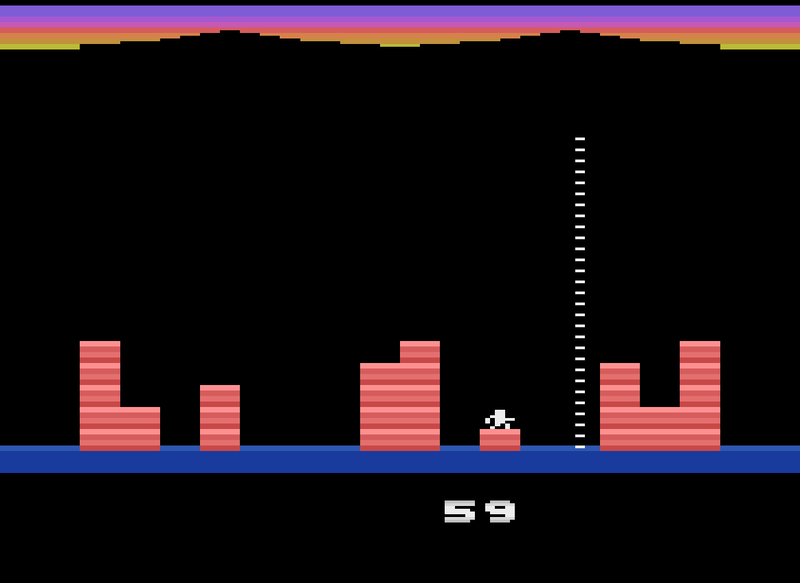 This is mksmith's first Atari 2600 game written using batari Basic and DPC+ as a way of learning to code the Atari which he has recently returned to after a very long hiatus. He started coding just before Christmas so about 4 weeks worth of work so far. you can climb down backwards into a hanging position then move left/right to jump across (again depending on whats in front of you). there is a short jump (between 1 tile gap) and a long jump (between 2 tile gap). That looks cool for an Atari 2600 game. I believe this was originally released on the C64. This is a well done port of that version.